Take a bite out of craft chocolate and you might pick up on some bourbon barrel-aged notes or perhaps a spicy taste of chipotle. Like craft beer and wine, craft chocolate has found its place in the Magic City foodie scene — and it’s delicious. 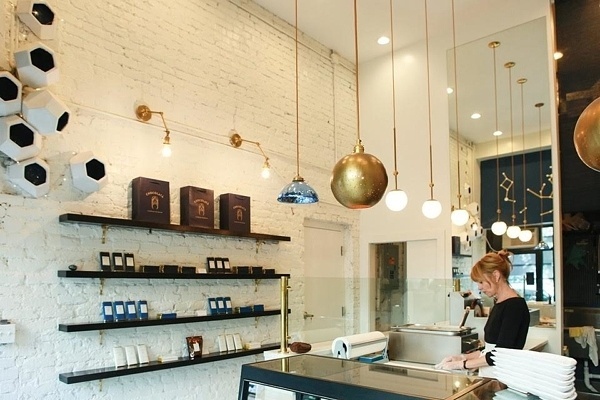 Courtney Pigford, who owns Honeycreeper Chocolate — which sources bean-to-bar chocolate and small-batch truffles from chocolatiers around the world — says like any other food, chocolate should be well-sourced and flavorful. And, thanks to a long list of small-scale farmers who take the time to make sure their cocoa beans are artfully grown, consumers can enjoy a product that imbues unique flavor. As a retailer, Courtney works with craft chocolate makers who source their ingredients from small farms with intentional, artisanal growers at the helm. Instead of mass-produced operations that employ swarms of workers and might produce their chocolate unethically, these growers, Courtney explains, work on a much smaller scale to make sure they are getting the best flavor from each crop yield. Those who work in the craft chocolate industry take the liberty of playing around with flavors, working to bring out certain “notes” while suppressing others. It’s all about flavor when it comes to craft chocolate says Courtney, who became steeped in the craft chocolate movement a few years back. Since starting Honeycreeper, Courtney has sold at various pop-up shops and events throughout Birmingham and has also found a home at Winslet & Rhys in Avondale. Soon, Courtney says, she hopes to have a storefront of her own so locals can get a more consistent craft chocolate fix. Courtney isn’t the only craft chocolate connoisseur in the Magic City, however. Just a stone’s throw from The Pizitz Food Hall and McWane Science Center, you’ll find Chocolatá Artisanal Chocolatier. It’s the dream of longtime chocolate lover Kathy D’Agostino come to life. Although Kathy opened Chocolatá less than a year ago, she already has a loyal following and a few signature flavors — like “Dixie at Dusk” and “Mystic Eyes” — that she can’t make fast enough. “You just get a lot of variety in the flavors that you don’t get with chocolate that isn’t as controlled,” Kathy says of the chocolate she uses to make bars, bonbons and other candies. With a cozy storefront space where you can often watch the mesmerizing chocolate-making process behind the counter, Chocolatá offers a revolving assortment of flavors all sourced from growers around the world. After receiving the chocolate, Kathy melts it in a special process that re-crystalizes the cocoa butter. After that, she adds in hand-picked ingredients like brown-sugar-roasted pecans, rosemary or sea salt to establish a unique flavor profile. Inside the shop, customers will find rows of dark, milk and white chocolate along with cases of chocolate bonbons and other delicacies. Every ingredient, Kathy explains, has a story and a grower behind it. As more people begin to discover craft chocolate and appreciate its flavors, Courtney says she hopes more consumers will get on board with the movement. Just like any other art form, she says, craft chocolate is meant to be enjoyed slowly and with intentionality. Chocolatá Artisanal Chocolatier is located at 1927 2nd Ave. N., Birmingham, AL 35203. Hours are Wednesday and Thursday, 10:30 a.m. to 4 p.m.; Friday, 10:30 a.m. to 8 p.m.; and Saturday, noon to 4 p.m. For information or to purchase Kathy’s chocolate, visit chocolatachocolate.com. Honeycreeper Chocolate can be found locally at Winslet & Rhys in Avondale at 4000 3rd Ave. S., #105, Birmingham, AL 35222, where the hours are Tuesday through Saturday, 11 a.m. to 7 p.m., and Sunday, noon to 5 p.m. Follow Honeycreeper Chocolate on Instagram @honeycreeperchocolate for details about upcoming pop-ups and new flavors. For information or to purchase Courtney’s chocolate, call (205) 617-9478 or visit honeycreeperchocolate.com.